someone’s going away somewhere. It’s always so. more and more people, since they’re not here anymore. the calligraphy notebook, for instance. like oblique buckets to an ordinary summer fire. everything that’s been done comes back. and people wailing at the wrong graves. and streets with open arteries. and a child who's not afraid of the rain. only it was me no one saw. 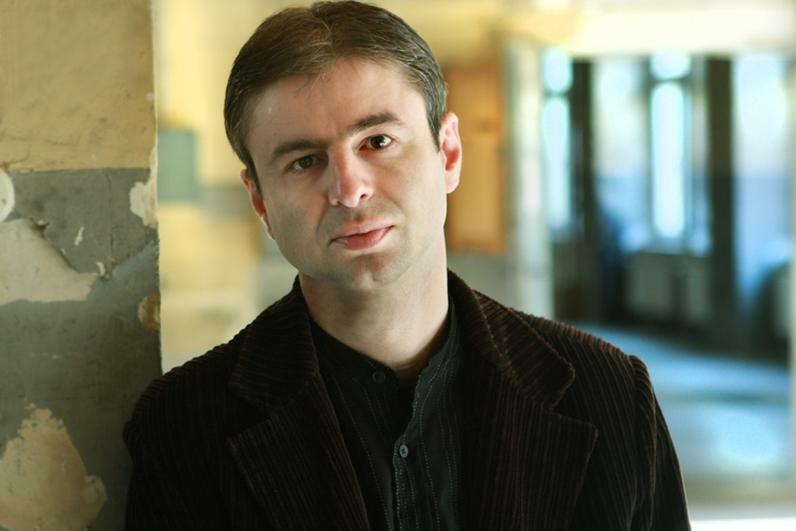 Born 1973 in a family of Balkan Wars refugees, Nikola Madzirov's poetry has already been translated into thirty languages and published in collections and anthologies in the United States, Europe, and Asia. Remnants of Another Age is his first full-length American collection and carries a foreword by Carolyn Forché who writes, "Nikola Madzirov's Remnants of Another Age is aptly titled, as these poems seem to spring from elsewhere in time, reflective of a preternaturally wise and attentive sensibility. As we read these poems, they begin to inhabit us, and we are the better for having opened ourselves to them. Madzirov is a rare soul and a true poet."